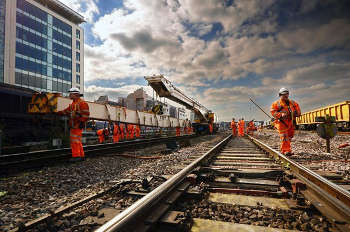 MPs have called for a raft of reforms to rail infrastructure funding, financial methodology and delivery, suggesting that action needs to be taken to restore the public's faith in the Government. Among the major, and persistent, problems that MPs identified was a sense that Government was ‘short-changing’ regions in need of economic regeneration by focusing rail investment on the capital. In a new report, the Commons Transport Committee said that current transport scheme appraisal methods will always favour the capital as they are weighed heavily towards the reduction of congestion and journey time savings. MPs said this actively disadvantages less economically buoyant regions and works against the Government's intention to rebalance the economy. Committee chair Lilian Greenwood said: ‘The secretary of state's cancellation of three rail electrification schemes in the Midlands, south Wales and Lake District, only to be followed four days later by the announcement in principle to fund Crossrail 2 in London, unsurprisingly re-ignited the debate about disparities in rail infrastructure investment between London and other regions. 'The Treasury's own data shows that spending per head in London in 2016/17 was more than ten times that of the East Midlands. Regional economies will never be able to catch up with London while such inequalities exist. Ms Greenwood also repeated her criticism of Chris Grayling for being ‘less than candid’ about the reasons for cancelling electrification projects. MPs said they welcomed changes the Department for Transport (DfT) has made to funding and processes for Control Period 6 (CP6: 2019-24) ‘which should avert the problems encountered in CP5’. In its report, the committee said that the DfT was ‘relying heavily’ on market-led proposals to deliver new enhancement projects but ‘does not appear to have a “plan B”’ should they not materialise as hoped. They warned that problem with the process ‘appear likely to dissuade third-parties from submitting proposals’, warning of a substantial risk that of a slowdown or interregnum in new, strategically necessary projects.